Are you looking for things to do in the Chicago area over the Memorial Day weekend in 2014? Memorial Day weekend marks the unofficial start of summer. There are many ways to celebrate, and if travelers happen to find themselves in Chicago this Memorial Day weekend, there is no exception. Chicago offers up many family-friendly activities to fill the three-day weekend and start their summer off right. Amazon is currently offering up Veterans Day Honor (The National Anthem) MP3 download completely FREE! 1. 15th Annual Chicago Memorial Day Parade Check out one of the largest Memorial Day parades in the nation. Drawing approximately 10,000 people every year, the annual Chicago Memorial Day Parade is one of the largest Memorial Day parades in the country. Show support for the soldiers who fight for the county at Chicago’s Memorial Day celebration and paradeIt gives honor to veterans, active duty military, and celebrates the lives of those who have served their country. Beginning at 12 p.m., the parade starts at State Street and Wacker Drive, and ends at State Street and Van Buren Street. Wreath ceremony starts at 11 a.m. and parade starts at Noon at State and Lake St.
2. The summer schedule for Navy Pier fireworks officially kicks of on Memorial Day weekend, with a synchronized show every Wednesday at 9:30 p.m. and Saturday at 10:15 p.m. through Labor Day weekend. Spirit Cruises and its family of vessels are offering several cruises all weekend long. 3. Check out the North Side versus South Side on Memorial Day Monday as the White Sox take on the Cubs at Wrigley Field, kicking off a four-game home-and-home series. 4. The Belmont-Sheffield Music Festival kicks off Chicago’s outdoor street fest season. The party is located steps from the Belmont Red Line “El” stop and the fun goes down Saturday and Sunday. 5. . Go green at the Gaelic Park Irish Fest May 24-27. There’ll be plenty of Irish music, dancing, games, food and booze at the party. Be sure to check out the Red Hair & Freckle Face contest. 6. Bike the Drive — Fitness enthusiasts who want to get in some exercise during the holiday weekend might want to register for the Bike the Drive event happening at the end of May. Cyclists take to Lake Shore Drive for a 15 or 30 mile non-competitive ride. Participants can begin the course between 5:30 and 9:00 a.m. After the ride, many participants head to Butler Field in Grant Park for a post-ride celebration from. The festivities include live music and an all-you-can-eat pancake breakfast. 7. Chicago Antique Market – May 24 – 25 — Looking to go home with some antique treasures? The Chicago Antique Market boasts the best treasures around, from beautiful glassware to collectible cameras. Plus, it was voted one of the top 3 national urban antique markets by Travel & Leisure – can’t beat that! Market goes on from 10am-5pm both days. 8. Bikini Season is Open – Chicago can once again hit the shore as all the beaches officially open Memorial Day weekend. Get ready to tan yourself on 26 miles of open lakefront sandy goodness, and don’t forget to bring your dog! 9. Chicago Farmer’s Markets – Support your local farmers by checking out vendors selling fresh fruit, vegetables, plants and flowers at a variety of venues throughout the City of Chicago. 10. Shopping in the Streets –The Randolph Street Market is open for business again offering collectors a treasure trove of antiques and vintage clothing as well as fashion booths from modern Chicago designers. There will also be plenty of food, drinks, and live music to enjoy for anyone born without the shopper gene. 11. 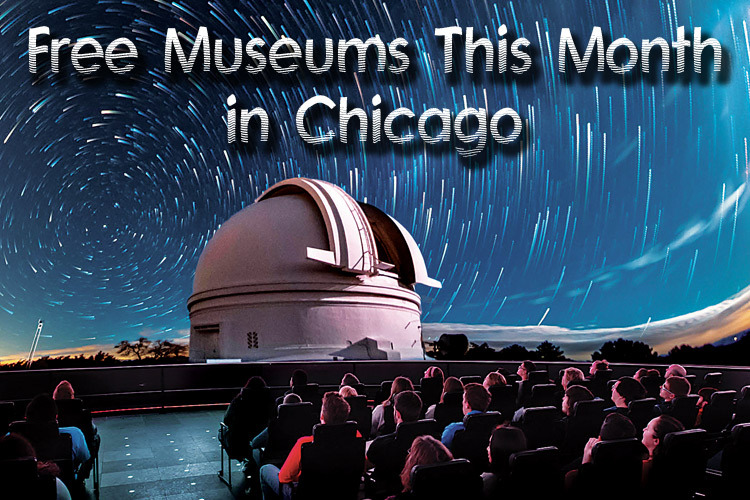 Free Admission to Pritzker Military Museum in Chicago on 2014 Memorial Day Weekend Chicago’s Pritzker Military Museum & Library will mark the 2014 Memorial Day weekend by offering free access to exhibits and other events to the public. The museum says it plans to offer free access on Saturday to its new “SEAL: The Unspoken Sacrifice” exhibit. The exhibit features….